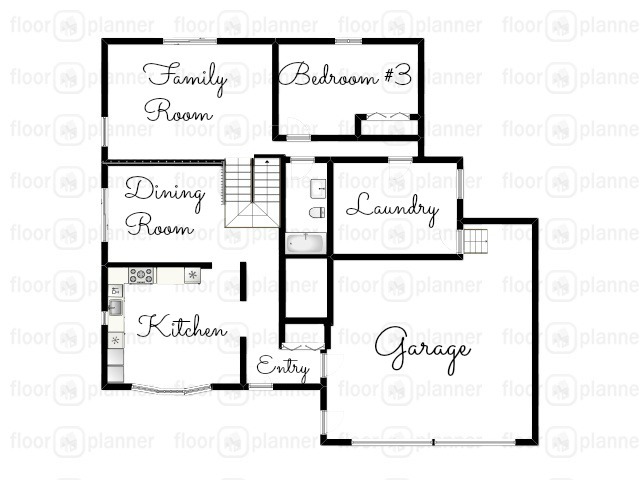 I’m doing a completely separate blog post just for the floorplan of this house. It’s kinda confusing and I didn’t want to overload you last week. Ya know, because one post per week is my max these days. So this house is kind of a split level. I say ‘kind of’ because this isn’t one of those split levels where you walk in the door and into a flight of stairs. This is the floor plan for the ground and lower levels. The blue section is the ‘lower’ section. Here is a pic of what I’m trying so hard to explain. 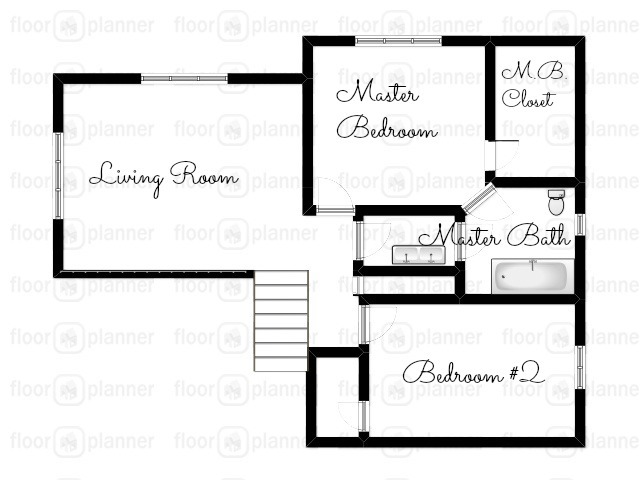 Anyway, here is the floor plan for the upper level. The Master bedroom is the smallest bedroom in the house. However, I think once we move a door our king sized bed will fit. It looks a lot bigger in the floor plan than it actually is in person. Just for fun-zies, here are pics of the kitchen and the lower level/basement-type area. I have TONS of plans for this house. This house is 100% outside my comfort zone. Our Houston house was a modified colonial four square. Give me closed off rooms any day! This house is completely open. 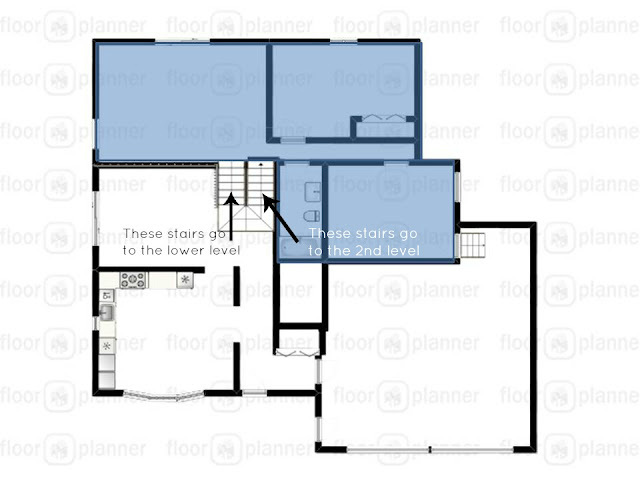 Upstairs living room? Yeah, I have no earthly idea what to do with that bidness. I’ll explain all our plans in another post. Actually I’ll probably do a ‘plans’ post for each level. There’s that much shiz to do in this house. March 22nd can’t come soon enough!